The exciting Fallon 250 is back for another round this year, featuring that all-out endurance desert racing you love and train for! Yellowbrick trackers are a GPS tracker that allow race ops, your friends and family to all track your location throughout the race. These are the same trackers used at King of The Hammers. No mounting hardware is necessary for these trackers they can attach to your pillar with zip ties. The Fallon 250 is an approx. 250 mile desert race. it will be 6 laps of a 41 mile loop. There are no rocks, it is an endurance desert race. 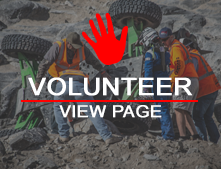 ULTRA4s Limited and UTV classes will be racing the morning race with VORRA’s production and UTV classes and ULTRA4s 4400 classes will be racing an early evening into night race. Lights will be required just as they are at King of The Hammers. Click here to view a map from Fallon to main pit location. Click here for just main pit location. For those wondering where the main pits will be located, please click the link above. This shows from Stockman’s Casino in the town of Fallon. The actual address for the Start / Finish is on unnamed road, but Google Maps shows the turn at Salt Wells on US 50, which is 15 miles SE of Fallon From the Salt Wells exit, it's another 2 miles South to the Start / Finish area. Drivers that have committed and paid for the 2017 ULTRA4 Western Regional series are already registered for the Fallon 250. If you wish to race the Fallon 250 as part of ULTRA4 (points and purse payouts) and have not yet registered, Continue below for ULTRA4 registration. Please note: Prices for VORRA will be the same as 2016 and not reduced as they were at Hawthorne. Course Inspection is open Thursday after Pit move in and Friday until MIDNIGHT. Maximum speed is 35mph, and you must obey all Nevada laws.COURSE INSPECTION IS AT YOUR OWN RISK. *A GPS download of the course will be available on site at registration, please bring sd card with you to registration. There will be 2 pit locations available. A team with one pit vehicle/crew CAN compete at this race. One of the pit locations is manned solely by a professional desert race pit team, ProPit, teams that wish to utilize this pit will simply need to pay the crew $25 for their assistance and can drop off necessary supplies to them on Friday during Registration/Tech. It is highly recommended that you utilize ProPit as access to this area is from Check 2 via the Race Course ONLY PRIOR TO START OF RACE. During race, the only access in or out is Dixie Valley side through Rawhide, if you send a pit crew there they will likely be there all day from 6am-12am. ProPit will be available Frday on site at the start/finish area for sign ups and to drop off equipment. Please note that this is an independent service provided; all inquiries should be made through ProPit. ALL TEAMS - Bring tarps or mats to be used for fluid containment under vehicles in pit areas and during times that spills are likely to occur. A clean-up kit is also required, and can be as basic as a shovel and heavy-duty trash bags capable of containing soil affected by a small spill. Spills greater than 1 quart must be reported to Race Officials or a BLM Representative. All drivers and co-drivers MUST have either annual or single use USAC insurance purchased. Pre-purchasing your USAC insurance saves tons of time on site. Please visit www.usacracing.org to purchase your insurance before the race! $25 per pit crew band. $20 goes towards port-a-potties and dumpsters in the pits as well as leveling and grading work to expand the pit area. $5 goes to USAC Insurance. Camping is dry camping only and is on a first-come-first-served basis. As this is an endurance desert race pits will be tight in the main pit area. Pit bands are required for those camping in the main pit area. This rental is required for all classes. It will allow families, fans and race ops to be aware of teams whereabouts throughout the race. This registration is for those teams wishing to register in advance for Group T for the Fallon 250. Please provide Driver of record name below. This registration is for those teams wishing to register in advance for Class 1 for the Fallon 250. Please provide Driver of record name below. This registration is for those teams wishing to register in advance for Class 10 for the Fallon 250. Please provide Driver of record name below. This registration is for those teams wishing to register in advance for Class 11 for the Fallon 250. Please provide Driver of record name below. This registration is for those teams wishing to register in advance for Full Metal for the Fallon 250. Please provide Driver of record name below. This registration is for those teams wishing to register in advance for Sportsman for the Fallon 250. Please provide Driver of record name below. This registration is for those teams wishing to register in advance for Class 9. at the Fallon 250. Please provide Driver of record name below. To find your class select the drop down arrow listed next to VORRA Fallon Class above! This registration is for those teams wishing to register in advance for the Class 1/2 - 1600 for the Fallon 250. Please provide Driver of record name below. This registration is for those teams wishing to register in advance for Class UTV. at the Fallon 250. Please provide Driver of record name below. We love to race it and you love to watch it-- this is your chance to see just how well all of our drivers do in an all-out endurance-style desert race. Think a full day of go fast racing and fun! Stay tuned for the schedule of events as we get closer to race day! Maximum speed is 35 MPH. Obey all Nevada laws. COURSE INSPECTION AT YOUR OWN RISK. 2PM – Mandatory driver meeting for all drivers qualifying. Drivers unable to qualify must be available for driver updates 45 minutes prior to start of race time. NEW! 3PM – 6PM Qualifying for all classes – Qualifying will be approx. first mile of race course and teams can then continue on to pre-run or return to pits. 3PM – 5PM Tech inspection on site at the start/finish pit area. Drivers must register before tech inspection. 12AM Course closed for inspection. 3PM Race over for all morning classes – Awards ceremony for morning Race will take place immediately following completion of race. 8:30PM Begin cut off times for all Unlimited Classes to start a final lap – time dependent on course clearance of morning race. Cut-off time will be 6.5 hours after start of race. Awards ceremony will take place once first 10 cars have successfully finished for podium placement. 10PM - Race over for all Unlimited Classes – time dependent on course clearance of morning race. Race end time will be 8 hours after start of race.